Wellworks For You helps you get through the day with these seven stress relief at work practices. It is no secret that the modern American workplace is, for most, a stressful environment. For many, the stressors that pile up at work–projects, unanswered emails, and uncertainty about success–don’t stay at work either. In fact, 40% of adults say they lose sleep at night thinking about the day’s stressful events, according to business writer Jenna Goudreau. At Wellworks For You, we often see how chronic stress like this can take a significant toll on anyone’s overall health and wellness. Learning how to relieve stress in the moment can make a major impact on your long term well being. Try the following tips for stress relief at work, and begin enjoying the benefits at work and at home. Practice Self-Care. One of the best secrets to stress relief at work actually starts at home. Practicing good self care at home can help you to approach each work day refreshed and ready. Simple practices like eating a healthy breakfast, getting enough sleep, and taking some time for enjoyable pastimes significantly reduce your overall stress level. Reduce Interruptions. Another proactive step you can take toward stress relief at work is to develop strategies to reduce interruptions. Modern workers, Goudreau reports, are interrupted approximately seven times an hour. These interruptions increase stress and decrease productivity. However, designating certain times to check and answer emails or closing your door while working on particularly challenging tasks can help you to control interruptions you can expect throughout the day. Breathe Deeply. Even with the best proactive steps, though, stressful situations will still find you. When they do, take a moment to practice deep breathing. Even a few minutes of focused, slow breathing can increase your calm and focus, and you never have to leave your desk! Take Control Where You Can. One of the biggest contributors to workplace stress is the feeling that things are out of your control. Sometimes this is true, but in many situations you may have more power than you think. Practice identifying those things that you can change about a situation and then taking positive steps in those areas. Prioritize. When all of your tasks are piled up in front of you, it can seem particularly overwhelming. Taking a moment to outline the deadlines and priority levels of the tasks in front of you is a brief practice that can go a long way in providing you with a clear focus and the feeling that you really are in control of the tasks ahead of you. Schedule Breaks. Simply put, your brain cannot operate at high-intensity for eight hours straight. If you try to push through the entire day at that level, you are more likely to be burned out by lunch. Instead, split up your day into periods of high intensity focus, separated by a brief break to walk over to the water cooler, take a deep breath, or deal with the easiest task on your list. Try A Positive Spin. Finally, learn to practice optimism. Although it can be difficult to transition for habitually negative thought patterns, the change can make a major difference in how you approach your day. Simple practices like listing your accomplishments at lunch or finding something to be grateful for each morning can re-frame your whole day in a positive light. 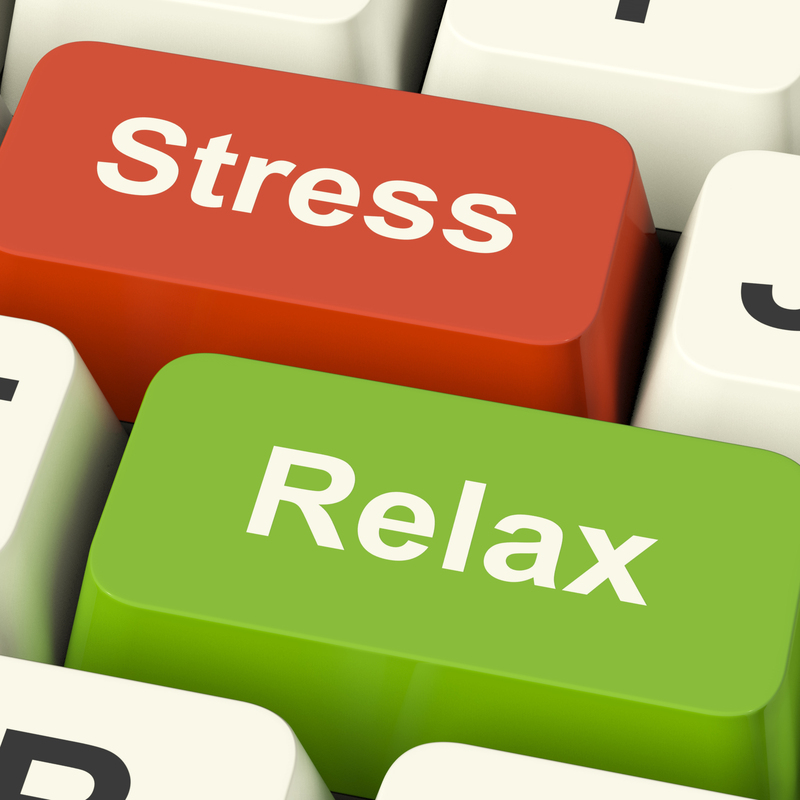 Want More Tips For Stress Relief At Work? If you’re interested in learning more about relieving stress in the workplace, check out the Wellworks For You blog today.